Kids are pretty amazing and if you pay attention, you can learn a lot about business and sales. Some of you may be saying, “But, Bernadette, I’m not in sales, I’m a (insert your profession here). Newsflash we are all in sales. It doesn’t matter if you are a lawyer, a plumber, a website designer or a network marketing professional, we are all in sales. You can’t lawyer, plumb, design do any business without selling first. It got me thinking about a blog post that did when my son was 7. I figured I would share the basics of it here. It still puts a smile on my face. If you are like me, you learn from your kids every day! A few years back, not unlike today, I was a single stay at home, work my business from home mom. Typically, I was working on the computer and Sebastian was either near me coloring or playing or somewhere close by. One day, Sebastian came over to me and said, Mama, I’m sorry…I put my crayons in the candle in the kitchen and accidently put the flame out. Well… actually, the paper from the crayons caught on fire and I got scared, put a can on the top, then the flame went out. I jumped up to go make sure the kitchen wasn’t on fire. 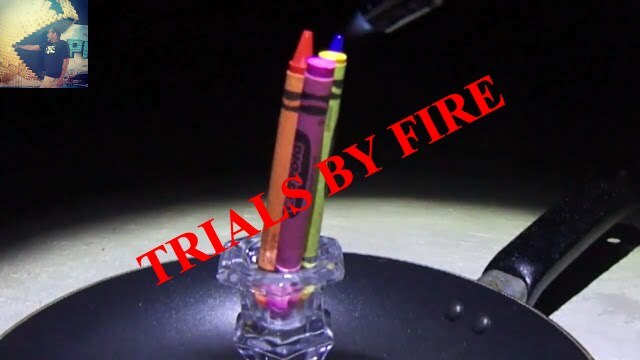 And, sure enough, there were 5 crayons (minus their paper) stuck into the candle. I asked, “Sebastian, what were you trying to do?” He responded, “I was trying to see if I could change the color of the candle Mama, and then the paper caught fire and, and, AND…. I’m sorry Mama, are you mad at me?.” “Well, I definitely don’t want you to do that again, crayons don’t belong in candles, next time get me so that maybe I can help you figure out what you are trying to do, and then you can try it and be safe. But, I am very happy that you were honest with me.” “Well, you always know if Alexa lies, I don’t know how, but you do, so, so, I figured I should just tell you the truth.”, was his response. My wise little 7 year old has watched his sister back herself into a corner enough times to know it’s best to just tell the truth, Mama will know. So LESSON #1, in life, in sales, in all we do people can tell when you are lying or exaggerating the truth, so it’s always best to just BE HONEST about your product or service. Sebastian was hanging out upstairs with me one day before school. I had just put on a top and was walking to the mirror when he piped up, “Mama, that top looks really good, you should wear that one.” “Thanks Buddy, I really appreciate that.” It hit me that he says stuff like that a lot. I like those earrings Mama, thank you Mama, you are the best Mama in the whole world. He’s always gives his honest opinion. I know because he tells me when he doesn’t like something as well, but, he always finds something nice to say. Sometimes, he just comes up to me and hugs me and says, “I love you Mama.” My wise little 7 year old has mastered the art of CHARM. Lesson #2 – Master the art of CHARM. Be honest, but, always find something nice to say to your prospects, people you are networking with. If you are talking on the phone, compliment the person on how motivated they sound, if you are in front of them find something that you can honestly compliment them on. Annie, one of my mentors is a master at this. It doesn’t matter who she is talking to, she will compliment the person on a necklace or their hairdo or something. She finds something she honestly likes, so that person believes her. Trust me, mastering the art of charm works for everyone! The other day Sebastian came up to me, “Mama, what are you doing today?” “I’m not sure Sebastian, I have some work to do on the computer.” He said, “Oma said that we need milk, are you going to get some?” “Maybe a little later on”, I reply. “Do you think you might go to Walmart?”, he continues. “Probably”, I respond, smiling a little, because I know what the next question is. ‘OK…Mama, can I go with you when you go?” “Sure buddy, you can go with me.”, just as I suspected. I look at it this way, if I were to be in a room of say 100 people and I said to Sebastian, one of these people has your bumblebee toy, but, in order to get it, you have to ask them for it. Sebastian wouldn’t hesitate, he would quickly be tugging on skirts and pantlegs asking, “Do you have my bumblebee toy?” He wouldn’t get discouraged if someone said, “No”. He would just keep asking until he got a yes. He wouldn’t stop at someone who looked promising and say, “Are you sure you don’t have it, are you sure you didn’t put it under your table, please come on.” He would simply keep pressing on and within about 5 minutes, he would be sitting on the floor with his bumblebee toy playing happily. That’s the same kind of attitude you have to have with sales for your business. You can’t focus on the no’s. And, you don’t want to alienate and annoy people by asking, “Are you sure you don’t want to buy my product/service, it’s the best, my prices are lowest, yada, yada, yada!”. You would simply smile and say, “Thanks for your time do you mind if I follow up in a few weeks?” Just be sure to follow up because the fortune in sales is always in the followup. Always be honest – people can tell when you aren’t. Hopefully Sebastian’s Lessons will help you in the way they have helped me. Is your business online? Is it getting found? Are you online and getting found online? Is all of your marketing congruent? Are you getting found online? Do you have a website? Is it rich with keywords that focus on your perfect client? Many gurus will tell you to focus only on SEO. And, SEO is important. But, SEO takes time. To speed the process up, you can incorporate Online Listing Management and an SEM (Search Engine Marketing) strategy. The goal is to make sure you are listed everywhere people might be looking for someone who offers your product or service. SEM doesn’t work for every business, so we are happy to offer free consultations offering education to help build your business. Networking is key to any business. It doesn’t matter what kind of business you are in, it’s important to get out there and meet people. It’s easy to find places to network with people. Go to Google and type “meet like minded professionals in my area” and you’ll get listings from meetup.com to professional networking groups like BNI and professional associations. When you go to these networking events, focus on meeting just a few new people. Don’t run around the room like a shark exchanging business cards with everyone you meet. Take the time to get to know just a few people and schedule a time to have coffee with them at a later date to see if you can find some synergy in what you do. Take the time, you never know where this will take and who you might meet as a result. Is all your marketing congruent? It is important that your marketing is working together, whether it is in person with your business cards or online, it all needs to match. Your website, facebook business id, twitter handle and any other business social networking that you use needs to be listed on your business card. Your website, facebook page, twitter page and any other social networking site that you use needs to be linked. So, list and link the social network links on your website and list and link your website on the social network sites. Make sure you are registered with Google, YP.com, Yahoo and Bing and other listing directories and make sure your website and social networks are listed on all. Any direct mail marketing you do should have your website and social networks listed and give people a reason to optin to your website and like or follow you on social networks. Once you begin to develop a list, make sure you communicate with them. Offer them tips and techniques to help them. Make your marketing about those you are marketing to and you will be successful. Training and techniques to help you reach your business goals.